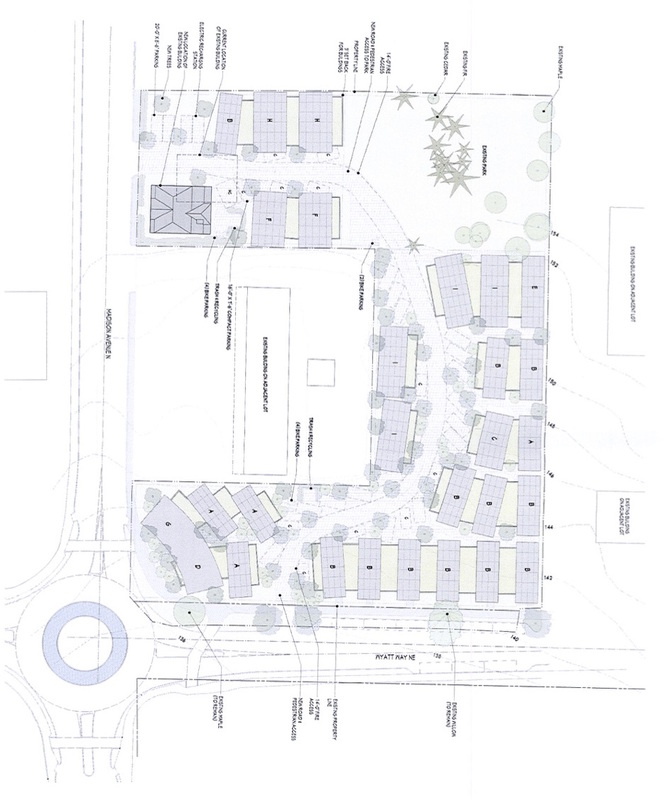 The City of Bainbridge Island approved a 28-home housing development at the northeast corner of Wyatt Way and Madison Avenue in Winslow. 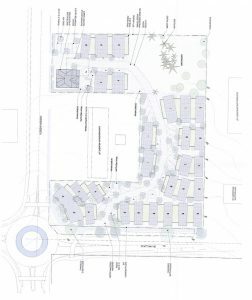 Wyatt Cottages will be built on two parcels bordering an apartment complex and the Madison Tot Lot (see the embedded site plan). Madison Avenue Development and the island’s park district had discussed a land swap that would have relocated the tot lot to the corner of Wyatt and Madison. That plan was unpopular with park-goers and eventually nixed. According to documents posted by the city, the park district and developer did agree to an easement which will allow the access road for the development to cross the southwest corner of the park district’s tot lot parcel. In exchange, the district will be able to use the new driveway for park access. According to a project narrative filed last year, Wyatt Cottages is designed to be a “low scale, walkable neighborhood of single-family homes.” Each house will have a private garden space and a roof oriented to maximize exposure for solar panels. Comments on the land use decision will be accepted through May 27. As we recently reported, the long-vacant Winslow Hardware space on Bainbridge Island is being renovated to accommodate a restaurant and offices. Now we know what restaurant will be moving in. 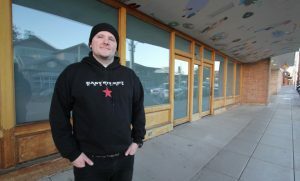 Storyville sold the property to California developer Joseph Lacko for $1.73 million this winter. 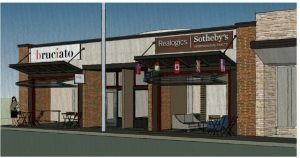 Lacko planned to subdivide the space and bring on two tenants. We’ll have more on this story soon. A popular Winslow café has moved. A busy Poulsbo café is expanding to take its place. Roosters Café closed its Bjune Drive location this month and moved in with Thuy’s Pho House on Madison Avenue. Roosters will be replaced on Bjune by Cups Espresso Café, which opened its first shop on Poulsbo’s Front Street in 2012. 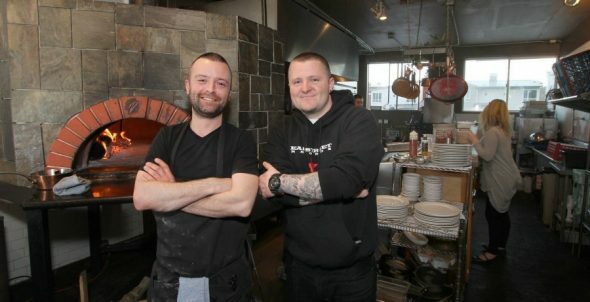 Cups owners hope to open on Bainbridge by mid-February. 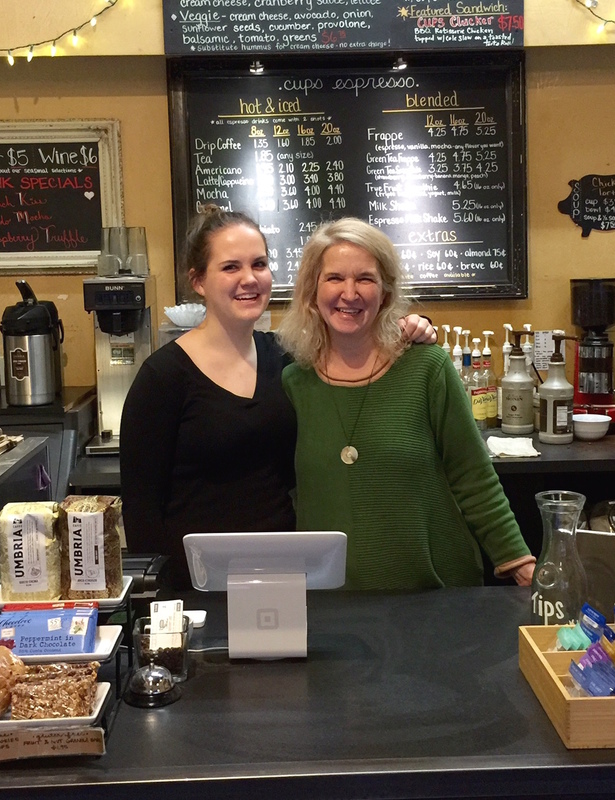 Business at Cups in Poulsbo has grown 60 percent in the past three years, according to a news release. Owners Wanda and Sean Winker were looking for an opportunity to launch a second shop on the island. “We’re excited to expand our operations to Bainbridge Island,” Wanda Winker said in the release. The Bainbridge Cups will offer the same selection of food and beverages as its Poulsbo counterpart, including Caffé Umbria espresso, beer, wine, pastries, quiche, strata, and sandwiches. Catering will be available. See the Cups website and Facebook page for more updates. Plans filed with the city show preliminary designs for the future Virginia Mason clinic on Bainbridge Island. 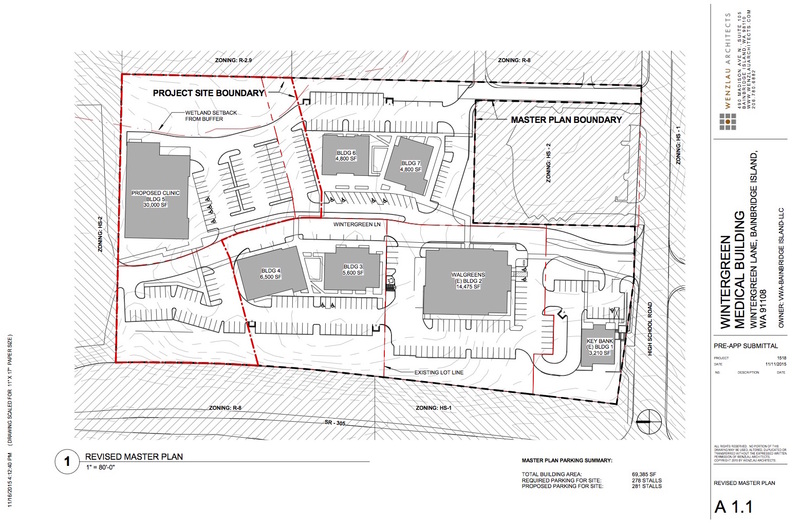 The 30,000-square-foot medical center will be built at Wintergreen Walk, a High School Road shopping center being developed by Visconsi Companies of Ohio. Virginia Mason plans to relocate its longtime Winslow Way clinic to the new facility in late 2018. Visconsi proposed a site plan amendment for Wintergreen Walk to accommodate the clinic. A required public participation meeting was scheduled for Monday evening. Revised site plan. Click to enlarge. The proposed revision would replace a 20,000-square-foot medical building in the original plan with the 30,000-square-foot clinic. The footprint of another building planned on the site will shrink from 7,200 square feet to 4,800 square feet to allow for more clinic parking. “The main façade which faces south is visually split into two masses with a large central glass area. The building design incorporates pitched roofs and a covered entry roof. Building materials are consistent with other buildings in the project site. A total of seven buildings are planned for the development. A Key Bank branch and Walgreens pharmacy opened there in November. Paper Products will close its Winslow Way store July 31, after more than 40 years in business on Bainbridge Island’s main street. Competition from online retailers is driving the craft and office supply store to reorganize, owner Joanna Arndt said in a news release. Paper Products will reorganize and reopen on High School Road with two new ventures, according to a Monday news release. A new shop, called Create Bainbridge, will offer craft and art supplies, journals, open stock pens and pencils, specialty gift wrap and card lines. The store will be located between Star Nails and Sole Mates in Island Village, near Safeway. Create Bainbridge will also host adult craft classes and provide subscription based craft supply services to businesses. Paper Products’ role as a back-to-school supply hub will continue with a seasonal store called Bainbridge School Supply. Bainbridge Schools Foundation, Helpline House and parent teacher organizations are partnering in the business and will share in the profit, according to the news release. Bainbridge School Supply will be located between Safeway and Great Clips. Storyville Coffee is selling its Winslow Way storefront, laying to rest years of speculation it would open a shop there. The Bainbridge-based coffee company’s space at 240 Winslow Way was listed for sale Monday for $1,885,000. Storyville still maintains its roastery in the Coppertop Park, where it operates a tasting room. 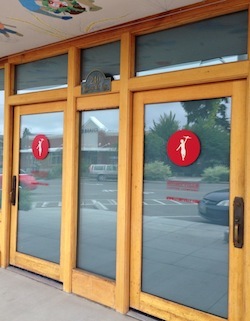 A marketing manager, who asked his name not be used, said Storyville shifted focus to starting stores in Seattle, and decided against opening on Winslow Way. Storyville has three Seattle shops, including one on Pike Place. The marketing manager declined to comment on whether a Storyville still has plans for a shop in downtown Winlsow. The 6,350-square-foot 240 Winslow Way building was long home to the town’s hardware store. 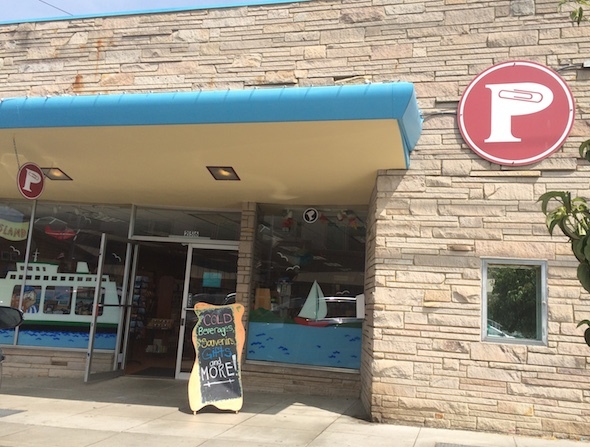 Winslow Hardware closed its doors in 2005 and was replaced by Port Madison Home, which shut down in 2011. Storyville bought the property in November 2011 for $1.55 million, according to assessor’s documents. The coffee company put signs in the windows and held “pop-up” shops there, but the cafe many islanders were expecting never materialized. Storyville recently took a beating from local media outlets for reported connections between its ownership and recently-disbanded Mars Hill Church. The marketing manager said there are no connections between the coffee company and defunct church, and said the media reports played no role in its decision not to open a shop on Winslow Way. “We love Bainbridge Island and welcome everyone,” he said. Plans are moving ahead for 48 new townhomes in the heart of Winslow. The homes will be built on 1.5 acres off Madrona Way, just north of Bainbridge Island City Hall and adjacent to the Islander Mobile Home Park. The applicant is Madrona Way Investments, a company governed by Kelly and Sally Samson. 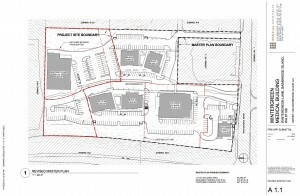 The city issued a preliminary subdivision for the development in May. Madrona Way Investments is now seeking coverage under state stormwater permits, according to a Dec. 1 legal notice. The project is expected to break ground next spring. The development was approved for higher density under the city’s Housing Design Demonstration project.